This is a lovely low tazza made by Mappin & Webb during the Art Deco period. 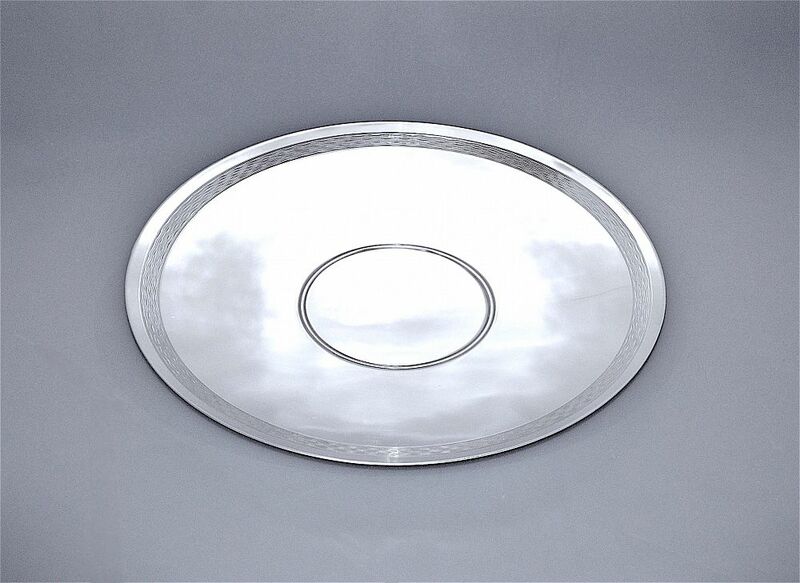 The round foot is ribbed and the sightly concave top has a band of engine turned decoration inside the outer edge and two incised rings in the centre. 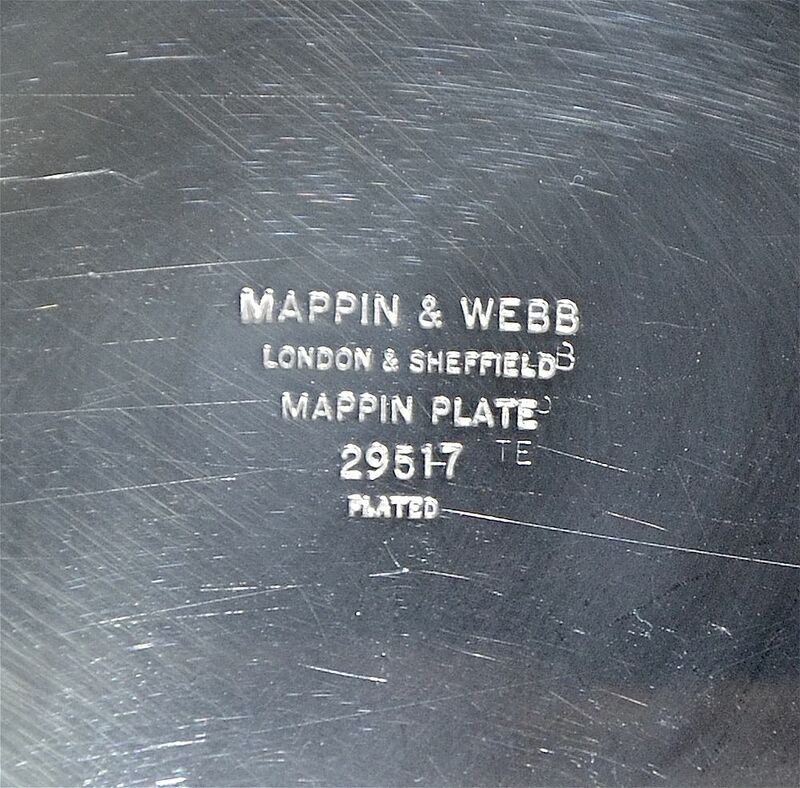 The base is marked "Mappin & Webb London & Sheffield Mappin Plate 29517 Plated". Great for fruit - (avoid fruit that is acidic as this may damage the silver plate over time) or just as a decorative piece.